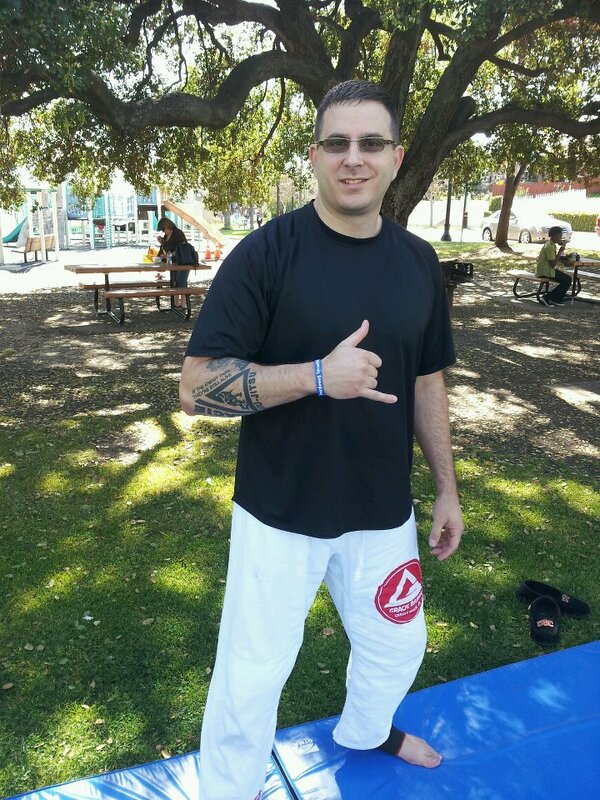 Gracie Jiu-Jitsu, Medications, and Spirituality Changed the Path of my AS Disease: From bedridden to Jiu-Jitsu instructor! Over 15 years ago well before I knew what Ankylosing Spondylitis (AS) was, I was introduced to Jiu-Jitsu techniques. Yet, I did not embrace the lifestyle until more recently when I needed it to help treat my mental, physical, and emotional needs related to my AS, making it a daily ritual and really incorporating it into my life and living the lifestyle. This label stuck with me throughout my school years and into high school. In 1994, I joined the United States Army and was part of the 82nd Airborne Division at Fort Bragg, North Carolina, home of the Special Forces and the only air defense artillery unit in the world. When Royce Gracie came out to where I was stationed after the first Ultimate Fighting Championship (UFC), I along with many other airborne soldiers was introduced to submission fighting, and then later Jiu-Jitsu. The army was so impressed by Gracie Jiu-Jitsu and it’s simple yet effective techniques, they claimed it as its official fighting style and eventually began a Modern Army Combative Program (MACP). I deterred from my Christian ways here and there in the Army, but found a special Bible that has been with me on every airborne operation and jump, through countless moves, and the best and worst times of my life. After a major accident in the Army landed me in the hospital at Walter Reed Medical Center in Washington D.C. with a traumatic brain injury (TBI) and disabled boy, I asked the God for His help and He was there to guide me every step of the way. 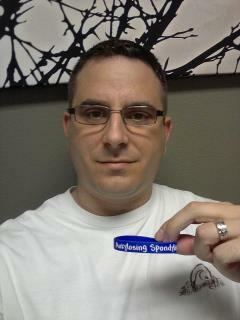 I was discharged from the Army in 2001 and decided to go to college using the Montgomery GI Bill. I also made the decision to quit drinking alcohol. My spiritual relationship continued to grow and become stronger. The month I was about to graduate from California State University, Fullerton (CSUF), I met Kate the woman who would become my wife. After we got married on the island of Maui in Hawaii, I entered graduate school at the University of Southern California (USC) and received my Masters Degree in School Counseling along with Pupil Personnel Service (PPS) credential from the state of California. Since this time, we have had two baby boys ( I refer to us as Jon & Kate Plus 2) and attend a local church regularly where I also teach self-defense to the elderly, women and children. In the spring of 2009, I was diagnosed with a severe form of arthritis called Ankylosing Spondylitis (AS) which causes my bones to calcify or stick together if I sit still for too long. There is no known cure for the disease however, like other forms of arthritis, gentle movement is essential for maintaining my mobility. Without daily movement up to 18 hours a day for my aggressive form of the disease, I would be reduced to a bedridden state like I was after my parachute accident in the Army. Most of the vertebrae in my neck and spine have become fused into what is commonly referred to by doctors as “Bamboo Back”. 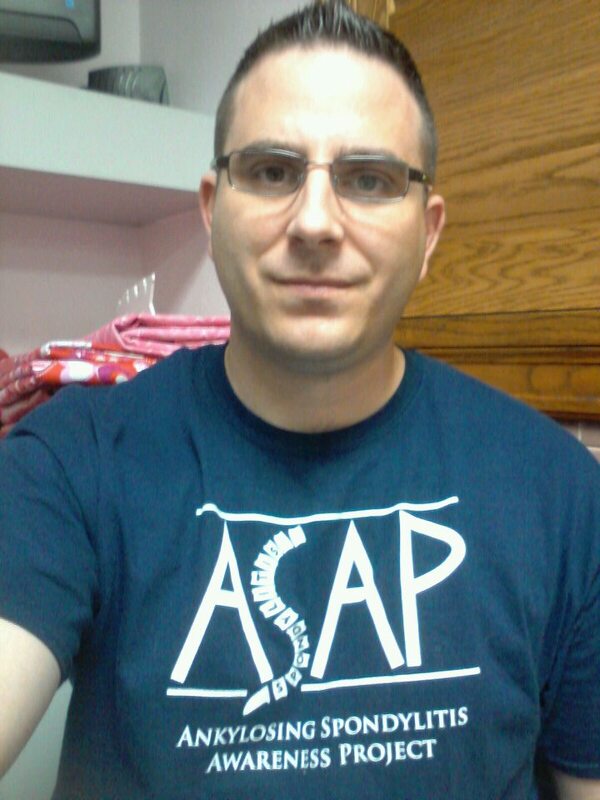 However, after finding the right rheumatologist, I was able to get a better handle on the disease. Currently, I take up to 19 pills a day (which include vitamins) and need to constantly move around. This has changed my life, as well as my wife and kids’ lives dramatically. This disease has also caused me to have my hip replaced and a shoulder surgery. Jiu-Jitsu came back into my life once again and helped me to move around a majority of the time unassisted (i.e. without my cane or wheelchair, which I was using off and on throughout graduate school at USC). Jiu-Jitsu allows me to move around, have control, and help others at the same time. In addition to Jiu-Jitsu helping, a daily cocktail of medicine including Prednisone, Methotrexate, Kadian, and monthly Remicade infusions (TNF blocker) to name a few, has increased the quality of my life exponentially. I thank God for the medical advancements in treating Ankylosing Spondylitis over the last 5-10 years, and for being so good to me and being in my life. I feel that my AS support groups, meditations, and exercise regime has given me the courage to face each day successfully because I know I am not alone in the journey. We that have AS have a saying, “we got each other’s “back”, literally, figuratively, emotionally, mentally, and spiritually. I am so grateful for the Spondylitis Association and all it does for the 2.5 million of us that suffer each day with this. 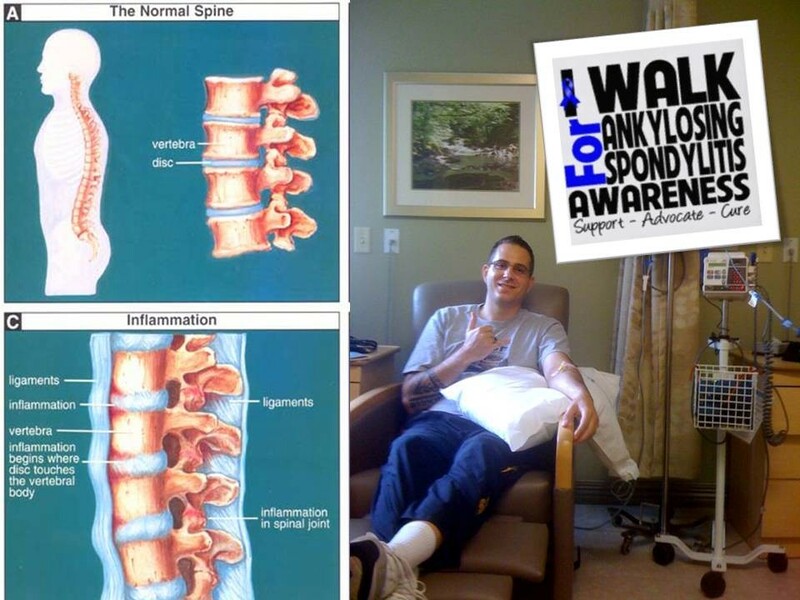 Each day, I read about, think about, and live with Ankylosing Spondylitis, but “I stand tall” (most of the time) with all my Spondylitis brothers and sisters. I go to bed and night and say to myself, “I had some defeats today, but I also had some victories. I made some mistakes today, but I also had some successes.” Life is not so black and white living with an incurable autoimmune disease, but organizations like the Spondylitis Association, Ankylosing Spondylitis Awareness Project, The Faces of Ankylosing Spondylitis, and my local AS support group give me a better perspective (like a new pair of glasses) on a regular basis. So, what are you waiting for? Let’s get into the solution with some positive action. I am speechless which is very rare. First please accept my gratitude for your service to our country. Your story is amazing and so inspirational to others. Thank you for the honor of adding you. With much admiration and respect. I love your photos and your story is so inspirational. Thank you for sharing. I am grateful for the encouragement I have received from all my AS brothers and sisters. They gave me hope and helped me get through the darkest times of my journey with this misunderstood disease. The thorns have roses, I LOVE that! I will remember your story and that sentence in particular every time I’m feeling depressed from the pain. You are an inspiration! It is a great blessing to have met you Brother. The light shines within you. You are an inspiration. God is good. Thank you for sharing your story. May God continue to bring many blessings to you, Kate and the babies : ). thank you for your service. I have recently started back w/karate (tae kwon do) so I am so happy to know that you are able to do some martial arts. Tae Kwon Do (as well as Father God, ) has helped me trememdously–mentally, emotionally and spiritually–as well as physically. Hang in there. God Bless you. That’s Awesome Elizabeth! I have to stay away from striking too much because the impact does not agree with AS. But, practicing techniques everyday and teaching them helps me stay fit and in shape. A big difference compared to my old life, stuck in a bed or chair without medications! My big brother.. 🙂 who is truly an inspiration.. 🙂 lets win this war! I am truly inspired and amazed with your story – I wish you nothing but the best my friend – I hope you realize how much you and your story has moved and inspired many of us out here. Congratulations to you on your move to serve our Country – God Bless you and your family ! It is an honor to share my experience, strength, and hope with other AS brothers and sisters like you! God Bless you on this difficult and challenging journey, my friend! My husband has AS and too is a veteran. He was in Camp Lejune in 2002-2004. We’re currently waiting on hip surgery and trying for VA disability and SSI as he was just fired for too many absences due to Dr appts. Thank you for sharing your story of hope. God bless you.